· Unit System – English or SI unit. · Solving Target – Peak discharge or time of concentration. · Equations – Rational method or the SCS peak discharge method. 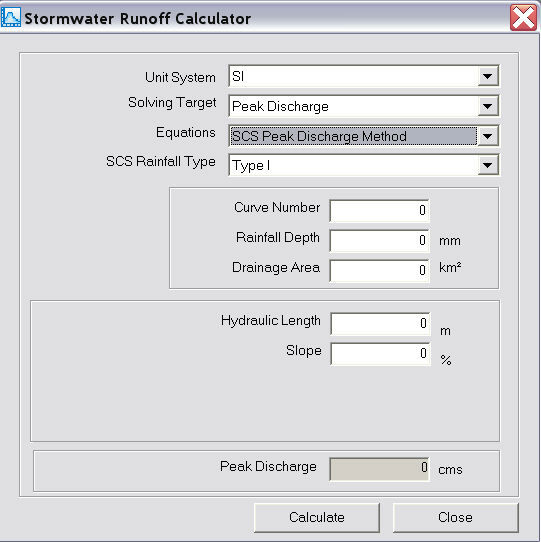 · Curve Number – SCS’s dimensionless number that is used as a measure of runoff generation capability of a watershed (see Table 3.12). It is a function of soil, land cover and treatment. 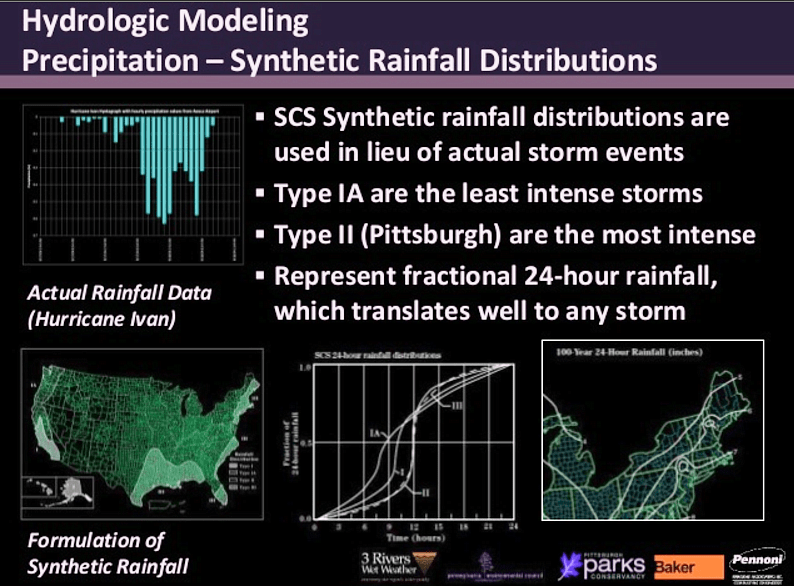 · Rainfall Depth – 24-hr cumulative design rainfall depth. This rainfall depth will be distributed across the 24-hr duration according to the SCS rainfall type selected. · Drainage Area – Area of the total watershed that drains to the location where the peaks flow is determined. · Peak Discharge – Peak flow generated from the watershed.